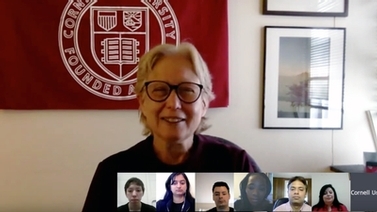 JULIE PAIGE: Congratulations and welcome to our Cornell community and our third annual off campus living webinar designed for incoming graduate students to Cornell. We are live today on Friday, April 27, 8:00 to 9:00 AM Eastern Daylight Time. Feel free to submit questions at any time during the session, and thank you to everyone who submitted questions already. When you submit your questions, if you could include your email address with your questions, so if we don't get to them today during the webinar, a member of our staff can respond to you in the days following this session. My name is Julie Paige, director of off campus, cooperative, and graduate living. I am joined today by four graduate students representing different fields and living in the popular areas of Ithaca where our graduate students reside. Samantha Adams, the community manager at Maplewood Apartments, is also participating in our panel today. Maplewood Apartments is scheduled to open in August of 2018, and we're very, very excited about that. I'm also joined today by two colleagues-- Denise Thompson, who is manager of campus living, and Jeannine Hagadorn from residential and new student programs, who's doing field work in our office this semester. You will be hearing from them later in this webinar. The goal of this webinar is to hear directly from our current graduate students at Cornell and their experiences with the off campus living in Ithaca. 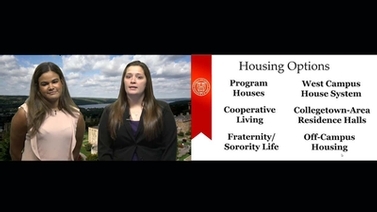 If you go to our website, offcampusliving.cornell.edu, we also have PowerPoint presentations to provide you with tools for a successful housing search and off campus living experience. My colleagues, Denise and Jeannine, will share more about those presentations later in this webinar. During the first 30 minutes of the webinar, each participant will have the opportunity to share with you their own experiences as to how they found their housing in Ithaca and talk a little bit about the neighborhoods where they live. We know many of you that are viewing this webinar today are coming from very far away and don't get to come to campus to find an apartment. So hopefully during this webinar you will have a chance about how to do this before you come to Cornell. You will also hear from Denise and Jeannine, who will provide you information about the services of our office. For the last 25 minutes, we will answer the questions that you submitted to us prior to or during the webinar. As a reminder, if you are submitting questions to us during the webinar, please include your email address. I'm now going to turn it over to our graduate students participants, who will tell you their name, where they are from, their department, and how they found their current dwelling. We're also asking them to share a little bit about their neighborhood to give you a little flavor about the neighborhood where they live and some of the amenities in their neighborhood. I'm going to start with Elena. Elena lives north of Cornell near the airport, and she can talk a little bit about how she found her first apartment at Cornell and then any subsequent apartments. Elena? ELENA MICHEL: Good morning, everyone. My name is Elena Michel, and I'm currently a third year PhD student in the field of plant biology. I'm originally from the Chicagoland area, so I am a domestic student. And right now, like Julie said, I live north of campus in an apartment complex called Northwood Apartments. That's actually across the street from the airport. So one of the fun amenities I get is that, whenever I travel from the Ithaca airport, I can walk to the airport and save money on parking, which is nice. And so I originally found this apartment complex because I was looking for a place that's a little further out from the campus and from the downtown area for a quieter place. And so I asked some of my friends who I knew had lived in that area, and they suggested this apartment complex that's managed by a company that manages about three or four complexes out there. And so I checked them out online, and I could go in for a tour. This is not the first apartment complex I lived in. I did live downtown my first two years here on campus, and I found that online. Again, I was looking for an apartment complex because I'm not from New York, and so I was hoping I could sign with a leasing company rather than just from a person that owned an apartment themselves so that I could be confident in the place I'm living. So just a little bit about the place I actually live right now. It is about a 15 minute drive from the downtown area and about a 10 minute drive from campus, but it's very close to the Ithaca mall. It's about a two minute drive from the Ithaca mall, which is nice. My complex itself is really quiet. It's really big, and it has a lot of nature on it. So there's trees, and there's nature paths throughout my actual complex. And this is a pretty well known place that families live at, so there's a lot of older graduate students or postdocs who live at my apartment complex with families, and there's playgrounds in that apartment complex. So I chose this because it's convenient for me since I have a car, but there is a bus that goes from my apartment complex to campus regularly every day, and then you can connect to other places in Cornell, as well. So that is just a little bit about where I live, and how I found it, and why I like it. So thank you. JULIE PAIGE: Thank you, Elena. So Daniela, I'm going to introduce you. And Daniela lives in an area around campus called Varna. DANIELA: Hey everyone. My name is Daniela, and I'm also a PhD student in plant biology. I'm a fifth year. And I've lived in two areas. Actually, my first area was in the same area as Elena in Lansing, and then I moved into Varna now. And I'm originally from Los Angeles, California, so I was definitely looking when I first came to be in a location that had good snow removal since I was unaware of how that occurred. So that was one thing that I was really interested in in the beginning. And also I was worried about laundry, so I wanted a location with laundry inside the unit, because I thought, how would I take my laundry far away in this cold temperature? But yeah, so I really like the Varna area. People say it's in the country, but it's really just about five minutes from the vet school or B lot, which is one of the major parking lots that the school campus has. I decided that I wanted to drive to campus, and actually from this direction there's almost no traffic at all, so I am able to reach school in about five minutes. Whereas when I was in Lansing, sometimes there was a bit of traffic, so it would take about 10 to 15 minutes. But you don't need to only drive. There are about two bus stations or bus routes that you can take. There is one that is directly across from my place, but that one only happens two times in the morning, as well as two times in the afternoon. But if I walk about a block away, there's a bus track that happens every hour. So that's also really convenient. And also another thing, too, is a lot of people like to live further out in the country area, and so there are lots of park and ride situations. So you can drive closer, and then take a bus if you don't want to pay for a school parking lot pass. So that's another thing to keep in mind. The Varna area is really great also for families. There is a community center, and every two weeks there is a pancake breakfast. So you can go. It's $8. It helps the community, and you get to meet all your neighbors. And there's also a free Thanksgiving dinner, which is really nice. And there's a good school program for kids, so if you have a family with children, it's a really great area to go and just hang out. There's free Wi-Fi, too, if you want to do some work over there. For me, in this area, the closest grocery would be P&C Fresh in the East Hill plaza area, which is also great. They have this farmer's market on Wednesdays, and there's a lot of good gas stations around here, too. So that's a good thing if you have a car. And also there's another sort of a farm vegetable area, where you can go get veggies from a couple of different farms. So yeah, I like it. I found this place. I am living in a small house right now. I found it on Trulia. You can rent from Trulia, and there's also Craigslist if you are unaware of some of the rental websites. Oh, and also lots of great hiking. JULIE PAIGE: So Daniela, could you talk about how you personally found-- you're from Los Angeles, you said, right? And how you personally found the apartment that you had before you came to campus and then this apartment. DANIELA: Yeah, so when I was first coming-- also, just and then I think that Elena also mentioned I was a little bit worried because I had never visited the campus at all, even before interviews and stuff. So I was looking at Craigslist and also looking for large apartment complexes, because I wanted also to be more certain of what I would find. I first looked on Craigslist, and then I went to different-- because a lot Craigslist ads will have the website for the apartment complex, so I actually was in Lansing West, which is another complex from that same Northwood section. So that was a really great thing. And then after I was here, I visited a lot of different places to find my second place. And I really like it, and I like the close laundry. It's a great amenity to have. JULIE PAIGE: I can understand that, too. So the other thing I want to ask you, Daniela is-- because we had a lot of questions about this. When did you start looking for your apartment before you came here? DANIELA: Yeah, so actually I looked extremely late because I had a lot of things going on. So I actually only started looking in June or July, and I wouldn't-- I mean, a lot of the large apartment complexes actually-- I think over the past couple of years they've had openings for apartments. So they have about five different complexes, so I wasn't too worried about finding an apartment. When I looked at it my second time, I started in May-- April, May time, but there are plenty of locations, so I wouldn't be worried, especially now it's only April. So I think it's pretty good, and there are a lot of large apartment complexes, so I feel like even some of them don't even get rented out. At least, I had an issue subletting my apartment when I had a little overlap when I moved to my second place. JULIE PAIGE: Thank you. Thank you. I want to now introduce Luis, who lives on East Buffalo Street, and East Buffalo Street, I think, between Collegetown and downtown. So Luis, can you introduce yourself and talk a little bit about your neighborhood, your apartment, how you found it. LUIS: Hello? Hello, can you guys hear me? JULIE PAIGE: Yes. LUIS: Hello, my name is Luis [? Libres. ?] I'm a first year PhD student in chemical engineering. I'm originally from Puerto Rico, so I have to do the whole apartment search from Puerto Rico. I'm married. My wife is also a first year PhD student, and that really shaped our search for housing. We wanted to find a space that had-- an apartment that had enough space for two people, but that felt more like a house and not like we were just roommates. And we also wanted to be closer to downtown for easier access to restaurants and transportation, but found our budget for most of their apartments was too small, so we expanded the search a bit. So since we couldn't come physically to Ithaca to apartment hunt, we did it mostly through Craigslist. We were a bit nervous originally about how to find an apartment and make sure it was actually an apartment and not a scam, but we just made sure to ask a lot questions about the apartment, about rent, about trash disposal, every detail. And as long as you could get good responses and a good conversation going, you did feel a bit more trust. Once we decided on an apartment, we did a little bit extra diligence-- checked that the renting company did exist and that they did own the place. So that gave us a little bit extra piece of mind. So in the end we did choose [INAUDIBLE] Street. It connects Collegetown and downtown. We are a bit close to the downtown side. We are about five minutes from the commons, which is the little heart of Ithaca. We are separated enough that we don't get much noise, however, or the place where we live is fairly quiet, so we get a good balance. So being close to the commons, you're close to the main bus stations, so getting anywhere you want in Ithaca is pretty easy. The area itself is mostly grad housing. So you don't get a big sense of community since everyone sticks to themselves, but it's pretty quiet and there is never any trouble. JULIE PAIGE: How do you get to campus when you come to campus? LUIS: Yeah, I usually just go down to the commons and take the route 10. That runs about every 15 minutes in the morning, so I can, without having to worry, just walk down and take the next bus. JULIE PAIGE: Thank you, Luis. So Julian, I'm going to turn it over to you. Julian lives in Eastern Heights, which is the eastern part of Ithaca, and she can talk a little bit about how she got her apartment, and how she gets to campus. And it is a little further out, right, Julian? JULIAN: It's not that much further out, actually. It's within three miles of my building, and there is excellent bus service to Easter Heights that goes-- starting in the morning, it goes all the way until I think past 11:00 PM at night. So it's really good with the bus service. Anyways, my name's Julian. I'm a second year PhD student in genetics, genomics, and development. And I'm originally from Canada, but I was living in Montreal before I came here, so I was pretty close. So actually in May the year I got accepted I drove over here from Montreal, and it was about a five, six hour drive. And I stayed with one of the girls in my program. She let me stay on her couch, and I just checked out Craigslist previously. And I was able to set up appointments to go look at a whole bunch of apartments, and I looked at a whole bunch of apartments, and then I chose the one in Eastern Heights that I still live in now two years later. So I really like it up in Eastern Heights because it's very quiet, and there's not a lot of-- there's no undergraduate students. And there's some graduate students-- mainly families, and postdocs, and professionals living up there-- but it's still very accessible to campus. And unlike some of the other people who we've been speaking to, I didn't want to be living in an apartment complex. I wanted to be living kind of in a house or a subset of a house, feeling like I'm more independent and not being in a big complex with a whole bunch of other people. So that was why it was nice to go check out these apartments and why I really like Eastern Heights, because that's what you're going to find in Eastern Heights. It's people who have their houses, and they're renting out a subset of their house as an apartment for a postdoc or a student. So I really like that, and I have a nice backyard area all to myself, and there's a nice park across the street. The bus stop is a couple minutes walk away-- two, three minutes walk away-- and it comes throughout the day-- every hour throughout the day, which is really nice. However, I don't normally take the bus. I don't drive either. I normally take my bike into campus. It's about a 12 minute bike ride to get to campus, so that was one thing I was also looking for-- is a good area that I could ride my bike into campus easily without having to do the hill that exists from downtown up to campus, like where Luis lives in that area at the bottom of that hill. As a cyclist, I don't want to have to be biking up a hill like that every morning before I go to work. So that's another thing that I like about Easter Heights is it's a little bit uphill on the way home, but it's not a crazy uphill. So another thing I was looking for is to have laundry available in the unit, like some other people have been mentioning. That was definitely important to me-- and having also a good kitchen for cooking. JULIE PAIGE: Thank you, Julian. So thank you. Thank you very much. So one of the things that Julian mentioned that resonated with me was how she came to visit and stayed with someone from her department and looked for an apartment while she was here. Not everyone can do that, but I really encourage those of you that are international that cannot make it to campus to look for an apartment-- if you can contact your graduate field assistant or someone else from your department that you can talk to, that they maybe can hook you up with a buddy. So your buddy will not go look for an apartment for you, but what your buddy can do is, if you find something that you think is good, maybe they can go check it out in person for you. But they won't do the leg work, but they can go check it out in person, and I know a lot of departments will hook you up with some kind of buddy from your department. So definitely check that out before you get here. So before I turn it over to Sam from Maplewood, I want to talk about a couple of neighborhoods that we don't have represented on this panel. And if any of the graduate students want to chime in about those neighborhoods, I appreciate that, too. One area is Collegetown Belle Sherman. So Collegetown-- the heart of Collegetown is where a lot of our undergraduate population lives, and that does not mean that it's all undergraduates, but it is primarily undergraduates, and it's very close to campus. It's within walking distance. There's a lot of restaurants, and there are some bars in Collegetown. There's also a lot of large houses where students are living together, and so they might have a lot of parties or social events. So it can be a little bit louder. But north of Collegetown is an area called Belle Sherman, and Belle Sherman is also close enough where you can walk to campus. There's a lot of families that live in Belle Sherman, a lot of young professionals, and a lot of graduate students. So those are two areas, if you want to live a little bit closer to campus, within walking distance-- the Belle Sherman and Collegetown areas. The other area of campus living I want to talk about is the commons area and the Fall Creek area. So the commons is a pedestrian mall downtown. There's excellent bus service from the commons, and there's apartments over-- there are separate apartment buildings, fairly new buildings, that have gone up recently near the commons. And then over the retail units-- there are also some apartments over that retail units. Again, it can be-- it's not necessarily a loud area of Ithaca, but up until probably 1 o'clock when the bars or the restaurants close, there could be some noise, but it's definitely quieter than the Collegetown area. There is an area called Fall Creek, which is a little north of the commons, and it's a totally-- it's a neighborhood experience. Again, there's a lot of professionals in the Fall Creek area. There's duplexes. There are small houses to rent, and it's called Fall Creek. You'll see North Aurora Street. You'll see North [? Hugo ?] Street, North Tioga Street. That is in the Fall Creek area. In the Fall Creek area, some students will walk from Fall Creek up to campus. There's also a really good bus service during the day up until early evening from Fall Creek to get to campus. And it is an area that it has a school. It has an elementary school that is in walking distance. So if you have children, a lot of people like the Fall Creek area, but it does attract both single and graduate students with families. So I just wanted to let you know about those two areas. And I'm going to turn it over now to Samantha from Maplewood apartments, which are really excited. They're going to open in August of 2018. And so, Samantha, you're on. SAMANTHA: Hi, good morning, everybody. So as Julie mentioned, I am Sam, and I am the community manager over at Maplewood. So some brief little background. So Maplewood used to actually be on campus housing for Cornell. So EDR is a company I work for, and we tore it down a couple of years ago, and we're building it all up brand new. So it's going to have 872 beds across our property. And we have apartment buildings. We also have townhouses. So if you're looking for more of kind of house feeling where you got your interior stairs, we've got those, as well. And we are on schedule to open on August 20, though we do have some units that may actually open a little earlier. We won't know for sure if they're going to open, which dates we're shooting for the first week in August are folks who have an early orientation. We should hopefully know sometime in June if and when exactly they're going to open. So just some stuff about our community. It is all graduate and professional students with a couple of faculty and staff from Cornell, as well. We're pet friendly, so if you're coming and you want to get a cat or a dog, we do welcome that, as well. Some folks mentioned laundry. We have laundry in every apartment, and every bedroom always has its own bathroom. So right now all we have left are the three and four bedroom townhouses. So even though you've got two to three roommates, you still have your own bathroom, which is really nice, and a full size kitchen, which is helpful. And we are about a 10 to 15 minute walk from campus, and we're also on the bus line. Some other things-- we do provide weekly programming. So if you are looking to get a good community feel out of where you're living, we're going to have programs every week in our community center, which also has a lot of open study spaces and also a fitness center that's open 24/7 for your use. See what else I want to make sure we cover. I will let you know we are almost sold out. So we have, I said, 872 beds. We are down to the last 250 or so. So I would imagine the next two or three weeks we will probably sell out. So just so that you are aware of that. And I think that's-- anything else we want to make sure I covered? JULIE PAIGE: Did you cover application process or how to-- SAMANTHA: Oh, yeah, absolutely. So the whole process is done online. So you go to our website, which is livemaplewoodapartments.com, and I can put that in the chat here in a minute, too. So you would apply online. It's a $150 to apply, and then it should process pretty quickly and bring you right to the lease so you can read through all of the terms and sign the lease. And then after you sign the lease, there's two options in order to complete your lease, and have it be considered done, and you actually get a spot secured. And that is either to provide a security deposit of one month's rent, which you get back after you move out, or provide someone to co-sign. I would say 90% of our students do go the deposit route because the co-signer does have some requirements. They [INAUDIBLE] US social and pass a credit check. So most student do just pay the deposit. And we also do have roommate matching, as well. So if you are like, you know what? I really want that four bedroom, but I don't know anybody yet. After you've finished your lease, we actually give you access to an application where you can talk to other people who also have a lease with us and are looking for roommates. JULIE PAIGE: So can I ask you just one question? So if I'm a single graduate student and I get a one bedroom apartment in a townhouse, I'm responsible for that one bedroom rent, not if you don't have roommates yet. SAMANTHA: Correct. So the great thing about what we do is, even though there's three and four bedrooms in the apartments, we lease each bedroom separately. So if your roommates-- if they don't pay their rent, it doesn't affect you. You are only ever responsible for your rent and your responsibilities within the community, which is nice. JULIE PAIGE: Thank you. Thank you so much. SAMANTHA: Of course. JULIE PAIGE: So now that we've heard from the students and Sam, I'm going to turn it over to Denise and to Jeannine to talk a little bit about our office, and about the PowerPoint presentations, and our web site, and how we can assist you. JEANNINE HAGADORN: Hi, I'm Jeannine Hagadorn. As Julie mentioned earlier, I work in residential and new student programs and have been working with the off campus living office this semester. And I just wanted to talk a little bit about what we offer and the things you can use us for. So we have a lot of resources that Julie mentioned on the website. As far as the PowerPoint presentations, that will give you a little bit more of an idea about some of the neighborhoods and some of the other considerations you might want to think about before coming to campus. And a lot of resources to help you prepare for your search, prioritize the things that you're looking for in an apartment, in roommates, thinking about what you need as far as transportation, different amenities that you would look for in an apartment, what you're determining your budget, learning about the neighborhoods. And we also offer listings on the website, where you can look at different apartments, contact landlords to express your interest. And another feature that our web site has that the other listing sites are not going to offer is that we only will publish properties that have a current certificate of compliance, and we'll also show if the property has other safety features. Those will also be shown in the listing. So you can get an idea of the different features that are in place to make sure that you're as safe as possible, especially in regards to facility's fire safety issues in your apartment. We can help you understand a lease, understand what the terms of your lease mean. If there's things in your lease you have questions about, we can help you think about how to ask your landlord about those. We can also help you understand your rights as a tenant in New York state. So you can pick up a booklet from us here describing what your rights are, and we can also talk to you in person about any specific situations that you might be working through and how your rights apply to those. And another thing that we have here in the office is peer advisers, who are available to talk to you about situations that maybe you have a question that you don't have to ask a professional staff member about, or you'd feel more comfortable to talk to a student. You can come in and talk to a peer adviser. And then Denise or I can also talk to you about anything that you might be working through, again, with your living situation. If there's something that you just want to kind of plan through how you might approach a conversation with a landlord or with roommates, we can speak to you about those. And we also have resources on our website for making sure that the move in and move our processes go as smoothly as possible with your apartment. And then another thing that I wanted to mention about myself is that I live on campus, but I do have two children. So I have a child who attends Cayuga Heights Elementary School and another child who goes to day care in the community. So for some of you, school may also be something that you're thinking about when you're deciding where you want to live. If you have questions about the schools, I'm happy to answer those in the chat, or if you want to email me, I'm happy to talk about those, as well. JULIE PAIGE: Thank you, Jeannine. Denise, do you have anything you'd like to add? JEANNINE HAGADORN: Denise just said no. JULIE PAIGE: OK. So now I'm going to begin with the questions that you had sent in, and I want to thank all of the graduate students, because you're going to be continuing to answer these questions, as well. You all have the opportunity to still submit questions. So please submit them and also remember to include your email address. So if we don't get to your questions today, someone from our staff or from another staff member at Cornell-- we can pass those questions on. So this is an interesting question. I'm going to ask the graduate students this question, but it's something also Jeannine and I can help with, too. And this is something that was submitted online. I mean, it's submitted to us ahead of time. I see almost all graduate students live off campus. Is this because of availability, or are there other benefits for living off campus for graduate students? So is there a graduate student that would like to take this answer? LUIS: I can take it. JULIE PAIGE: OK, Luis. LUIS: So a big part is availability. There are a lot more grad students on campus apartments, but there are lots of advantages to not living where you work. You do get a good workplace and home separation. It's nice knowing that I can get off Cornell, go to my home. This is where I rest, where I play, where I just relax. And when I go to work, I know this is where I work, and here [INAUDIBLE] going to be my eight hours, and then I'm going to be done. So it's a good separation. JULIE PAIGE: And so speaking from our side of it, only 5% of our graduate students live on campus because that's all we have housing for. And I did find out from our colleagues in the housing office at Cornell that, at this time, on campus living is full. So right now you will be expected to live off campus. There's a lot of community events for graduate students, so even if you live off campus, there's a lot of events to bring you together. We have a student center called the Big Red Barn that brings graduate students together. We also have a lot of programs for partners, as well, and spouses. So we realize some spouses will be coming with you that necessarily can work in the United States. So the graduate school does-- and the Big Red Barn does pay attention also to the spouses that are coming along with you. So yes, most of our graduate students live off campus. Part of it is availability, but part of it is what Luis said. Sometimes people just want to get away from campus and not be with the people that they're with all day long. So thank you. DENISE THOMPSON: Good morning, everyone. My name is Denise Thompson, and I'm the off campus living manager here at Cornell University. So while we try to get Julie back online, I'm going to ask if one of the graduate students would be willing to answer this question. Is it acceptable to negotiate the terms of the lease? Elena, Luis, Daniela, would either one of you like to answer? ELENA MICHEL: I can talk a little bit. I think it does depend if you're-- here I'm going to assume one thing I don't know from the question, but by terms of the lease, I'm assuming this is relating to the actual length of the lease. And so I think it's pretty common before you actually sign a lease to discuss with the person you're renting from if it's a full year lease, or can you add extra months at the end? Will they allow you to do month to month leasing once your lease runs out while you try and find a new place. And so I think it's very important to ask about it to see if they will do it before you sign the lease. I think it's quite common. I think a lot of people are very flexible. Sometimes they will let you know that you're free to change at any point, but they'll charge you a fee. And so it's also good to know that upfront. DENISE THOMPSON: Thank you. I would also offer that, for myself, when I do work with students, I do tell them that you can always negotiate any part of your lease. Anything in writing can always be scratched out and written in handwriting versus printing. As long as you and the landlord are willing to agree to the changes, you can make those changes in writing via that lease agreement. So it can really vary depending on the group. So my next question is, what is the process for finding a roommate? And I think Julian did write something in that, but if anyone would like to, including Julian, speak about that, that would be helpful. JULIAN: Sure, I can talk about that. When I came in, I was looking for one roommate, because I didn't want to live alone, and also the prices are a lot better if you have a roommate. And I was looking for something a little bit lower on the price scale. So I accessed the off campus living LISTSERV. So it's like an email list, and I gave the link on where you can find information on how to join it on the chat, but basically I joined this LISTSERV, and then I just sent out a message to people. And then I got a reply actually from another PhD student who was also looking for a roommate-- an incoming PhD student in a similar program as mine, but not the exact same one. And then that worked out well. Like I said, I came to visit some apartments, and then I discussed with my roommate, who I agreed with, and then we together chose on the apartment. So that worked out really well for me looking for a roommate, and even though I knew zero people here, I was still able to find a suitable roommate by the time I came into Cornell. DENISE THOMPSON: Thank you, Julian. Anyone else like to talk about finding a roommate? JULIE PAIGE: [INAUDIBLE] I'm doing that. DENISE THOMPSON: We do have Julie back, but I [INAUDIBLE]. So Daniela or Elena, would you like to speak about having a roommate? ELENA MICHEL: I was just going to say really briefly I did not utilize the same LISTSERV that Julian did. I was lucky in that I made a great friend during my graduate school interviews, which obviously may not be the case for everyone, especially if you can't attend graduate school interviews and you do them by Skype or something. And we ended up talking about how, if we went to the same school, we would just live together. So she's in a different field from me, and I just met her almost by chance, and we lived together for two years. So you could also ask people incoming in your program if they're looking for housemates, as well. DENISE THOMPSON: Perfect. Exactly. That's exactly what I would recommend. There was a question in the chat about whether or not we are recording this, and yes, we are recording it. So you will be able to see it from start to finish once we get everything worked out. So my next question is, is it recommended to get furnished or unfurnished apartments? So let me just quickly speak, and then I will ask the other graduate students to fill in, as well. Most apartments, the closer you are to Cornell, will be furnished. Some further out may not be furnished. So that's just my little tip, but if I could ask one of the other students to fill in, that would be wonderful. DANIELA: Yeah, I can talk a little bit about that. I mean, I have found a lot of the-- like you mentioned, too, some of them are partially furnished, or there is even-- for some of the apartment complex, there can be a charge, like a couple of hundred dollars to have a furnished apartment. But if it's not furnished, it's not that big of a deal. A lot of times, especially during moving times, there can be lots of people with lots of furniture outside, so its great. It's a great time during the moving season to pick up some furniture. DENISE THOMPSON: Thank you, Daniela. I would like to ask Jeannine to come, because we do have a couple programs here at Cornell and in the community, so I will pass that over to her. Just one moment. JEANNINE HAGADORN: So every year at Cornell during the orientation period there's a two day event called dump and run. And this is also something you can take advantage of when you're moving out. If you need to get rid of things, what we do is students donate items that they don't need when they're moving out either of the residence halls or for off campus. We can sometimes arrange pick ups. And so at Helen Newman Hall there will be this huge event where you can go by super affordable items second hand, and there are sometimes really good finds there. There's also several places in the community where you can purchase used items. There's Mimi's Attic, which is a home goods store. It's a consignment store where you can get some, again, really nice quality used furniture, and there's also two locations for the Ithaca reuse center, where you can purchase previously owned items, as well. DENISE THOMPSON: So if everyone can hear me, it's Denise Thompson again. Here's another question. Does off campus living provide assistance to signing a lease for international students? And then is it the same and/or legal to sign a lease over the internet for international students? JEANNINE HAGADORN: Yes, so whether you are an international student or a domestic student, we can always help you to understand the terms of your lease. If you are not physically on campus, you can make a phone call to our office, or you can contact us via email with questions. We're also able to send you some electronic resources, such as things to look for in your lease. Again, the New York state tenants rights guides-- that's put out by the state attorney general. So we can really help you with understanding some of the policies, and you can sign a lease over the internet. I would just say to make sure-- I think one of the panelists already spoke to this-- you're really comfortable with the communication that you've had with your landlord, that you've asked them the questions that you have, and that you've requested references from them. So you can request references from your landlords of a previous tenant, a current tenant who you can call to learn more about their experience, both with the landlord, or the property, or the management company if you're renting through a company. And that can help you just to feel really comfortable entering into an agreement with this person. And if you have any questions about any of the things that are being asked of you, feel free to just ask us, and you'll want to try and run those by us before you sign your lease, because once you've signed it, you really are agreeing to the terms. However, there are some terms that will be voided if they're not things that are legally able to be included in a lease. DENISE THOMPSON: So if one of our graduate students could also look to answer this, the question is, what are the best neighborhoods to live in terms of distance and price to quality of life ratio? JULIAN: I can speak to that. It really depends on what your quality of life is. Quality of life for me is going to be different for someone else. Someone else might want to live very close to restaurants, and bars, and have a more busy life scene, more people around. Other people might want to live where it's a bit more quiet. So you just kind of have to decide what you're looking for. I personally do like the East Hill area, because it's very close to campus, and it's quieter than the Collegetown and downtown area, but it's still very close to campus. And generally the prices are decent in that area, but it's going to depend on what you're looking for. DENISE THOMPSON: Thank you. Sam, this question is for you. Is Maplewood apartment walkable to the ILR school? Which ILR is located on central campus. SAMANTHA: Yes, I don't know where that specific [INAUDIBLE], but I know in general walking from [INAUDIBLE] up to campus is doable. I've done it a few times. I've gone [INAUDIBLE] somebody who spends their time on campus can kind of let us know where the ILR school is in relation to these, but I've walked from our offices up to the Big Red Barn and up to [INAUDIBLE] kind of the center of campus. It's about 10 to 15 minutes depending on where exactly you're going, but it's relatively flat for the most of the walk. JULIE PAIGE: And ILR is a little closer than the Big Red Barn. SAMANTHA: Oh, perfect. Then yes, it's walkable. DENISE THOMPSON: Thank you. I'm not sure if anyone can speak to campus to campus bus-- sorry about that. So the question is, is it hard to answer-- excuse me. Is it hard for a new student with the number of luggage to catch the bus in New York City to get to Ithaca? DANIELA: I can answer that question. I've taken that bus many times. I think they have a rule, actually. I think you can really take two underneath the bus and two small carry-ons above, although it's usually actually pretty empty. Not a lot of people have a lot of luggage, although the busier times there's still enough room since everyone's allowed two luggage items, but it's pretty easy. All the different stops-- there is one at [? Wile. ?] There is one at the Cornell Club, which is like in the center of Manhattan, and there's also a third one now that's a new stop that's higher up on the east side, but it's very easy to get there if you take a New York City transporter shuttle from the airport if that was the plan. But yeah, if there's any other questions about that, too, I can answer. JULIE PAIGE: And then there is a bus company called Short Line that also leaves from-- I can't remember the name of the terminal, but it leaves from a central place in New York City, and I'm pretty sure also there's transportation from the airport to the Port Authority. That's what it's called-- the Port Authority of New York. And the Short Lines run, I think, pretty close to every hour. I don't know if they have a luggage limit, but I know students do come that way to move to Cornell. JEANNINE HAGADORN: And now we do have another question from the chat, which is, which neighborhoods or areas are common choices for graduate students? I know we've talked about some of the neighborhoods, but if you want to talk about other neighborhoods that they have experience with or that maybe friends live in? 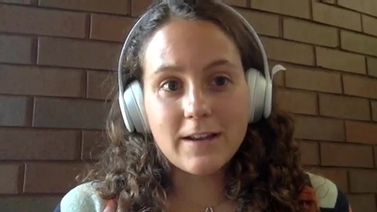 ELENA MICHEL: I guess just from my personal experience I think all the neighborhoods that my friends live in that are common in Ithaca we've already talked about it the webinar. JULIE PAIGE: There's one neighborhood that isn't very common for Cornell students to live in, but it is an area where some Cornell graduate students do live in, and that's called the South Hill part of Ithaca. It's up by Ithaca College, and it's south of the commons. So I talked about downtown, and so if you go south from downtown up the hill, that's called the South Hill area. And in the immediate South Hill area, it's going to be a lot of Ithaca College undergrads, and farther out it's going to be more families. And I won't say-- there's also a place called city apartments, which is a little bit on the South Hill, but where we have some graduate students live, but it's not a common area for Cornell graduate students. JEANNINE HAGADORN: So we have a couple of other questions. Someone has asked-- I'm coming to Ithaca the first week in August. I have not yet secured housing. Will I be able to live on campus until I find housing? So we do not, as Julie mentioned, at this time have availability on campus. And we don't really have short term housing on campus either. But you may be able to find some short term rentals on Craigslist or Airbnb to stay in. There's also a fairly affordable hotel close to campus called the Hillside Inn, which is going to be a pretty small room, but if you're only there temporarily, maybe something that you'd be able to do. Another question is, can you use your financial aid disbursement to help pay for housing? Some for that, your anticipated housing costs would be figured into your financial aid package, and depending on how much aid you're getting, you might get an overage check-- or how many loans you accept, you might get an overage check for money beyond what you use for your tuition. And so the overage check is meant to be used for books, items that you need for your studies, and also for housing and meals. So that is something that when you receive that check are going to think about how you want to budget that for the things that you're going to need to be successful over the semester. And then I'm going to send this one to Julie. How do you apply to live at Hasbrouck? JULIE PAIGE: So we have a wonderful housing office, and you can write to them at housing@Cornell.edu. Missy Riker is the housing assignments coordinator, and she's the one-- if you wanted to apply for housing on campus, she's the one that at least would keep a wait list at this point, because we are full. So it is now-- eastern time it's 8:53, and I just want to ask the graduate students. When we were talking about financial aid-- graduate students, you've received assistantships. Was there anything you need to add to what Jeannine said about assistantships that you get and about housing? ELENA MICHEL: I think the only thing I wanted to say is that I've had two different assistantships since I've come here, and pretty much every housing option I've looked at is very affordable on the assistantships that Cornell provides. JULIE PAIGE: Thank you. So before we close, I'm going to ask each of the graduate students to give one to two housing tips about what has created a successful experience for them. So if we could start with, let's see, how that Elena since you're there? ELENA MICHEL: Sure. So I think my biggest tip and one that was really helpful to me was to ask other people in your department. I know you mentioned asking your DFA about this, but I asked an older member of my field department before I came if she could go and tour different complexes for me, and take pictures, and ask questions for me. And that was so helpful, and I mean, I personally am happy to do this for any incoming people in my field. So just ask and see if they can help you out, because that really makes a big difference. JULIE PAIGE: Thank you. Daniela? DANIELA: For me, I think it's really great to make sure that you have photos of the place that you're going to go, especially if it's not a larger complex. So make sure you verify the photos and also read through the lease. Some people just sign the lease and don't look at what the cost is for a pet or something if that's something you're interested in. So always take note of what your lease says. JULIE PAIGE: Thank you. Luis? LUIS: Yes. So I think the most important part is really to talk to that person that might be your landlord. Ask a lot of questions and see how they respond. If the possible landlord doesn't really like answering questions or seems to be a bit cagey, then maybe you don't want to live in this apartment, because that might be the case in a couple of months when you have a problem with the apartment. So that's a good way to tell how easy it would be to communicate with them. And the other thing, which it's related to a question from before about money, is you have to be a little bit careful on when you will be paid at the beginning and when you start paying rent, since the big deposit-- first month's rent, maybe last month's rent-- that can be a big chunk of money at the beginning that some people might not plan for appropriately. So you have to be a bit careful to make sure you have enough money [INAUDIBLE] at the beginning. JULIE PAIGE: Thank you. And Julian? JULIAN: Yeah, I just want to say that you might not find the absolute perfect apartment and your dream apartment. You have to maybe make some trade offs. You have to know what your absolute priorities are, what you're not willing to compromise on, say, if you want to have laundry in your building, or you want to be on a bus line, or you want to be within 20 minute walk to campus. And then some things that you might be willing to compromise on, like, oh, maybe it's OK if there's no dishwasher. Oh, maybe it's OK if the rooms are a little bit smaller or something like that. You might not find your perfect apartment, so know what your priorities are and know what you're willing to give on. JULIE PAIGE: Thank you. So one of the things I just want to say because there were a couple of questions about this and about the piece about finding a place before you come here, because there were a couple of questions-- can I wait to get to Ithaca in August when I start my program to find an apartment? It will be a lot stressful for you if you do everything you can to find an apartment before you arrive to Ithaca, because you're going to be busy getting ready for orientation and classes. And again, our office is here to advise you. Contact the older graduate students in your field. Contact your DFA, because there are people to assist you with that process. It will definitely make your transition to Cornell a little bit easier. Any final words from Samantha? SAMANTHA: Yeah, so I guess the biggest thing for us is our staff is definitely available to help and answer questions. You can reach us on our website, which is livemaplewoodapartments.com. There's a contact form in there. You can send us an email. We try to respond to everyone within about 24 hours, so we try to be as quick as possible to answer your questions. And again, we're excited to be a part of the community now that we're going to be opening in August. And then just one more reminder as far as timing, because I know you just mentioned try not to wait till you arrive. We are likely going to fill up in the next two weeks or so. So if you're interested, definitely get in touch with us as soon as you, and we can answer any of the questions you have. JULIE PAIGE: And any final words from Denise and Jeannine? JEANNINE HAGADORN: We just want to remind everybody that we are here for you, and we really want to be able to help you navigate this process and be able to make your experience with living off campus as smooth as possible, and be there for you if it's not. So just make sure to use our office to reach out to us early on and to also use the resources that we offer online and as far as our peer advising, as well. JULIE PAIGE: So as somebody who has rented in Ithaca since 1993, I'm a very happy renter. We have wonderful, wonderful landlords and property managers in Ithaca that will welcome you. And definitely we can't recommend to you, but definitely ask your peers that are here already if you want any answers about what their suggestions are about good landlords and positive property managers. I want to thank our graduate students today. I want to thank Samantha, and Denise, and Jeannine for getting up very early to be part of this webinar. And remember to write to us at offcampusliving@Cornell.edu if you have any further questions. And have a good day, and good luck at Cornell. If you are coming to Cornell to pursue your graduate studies, you may now be thinking the next big question – where do I live and what is Ithaca like? Arriving in a new and unfamiliar place can be stressful, and may bring up many questions and concerns. Our goal is to provide you information about life in Ithaca, centered around housing options, through the experiences of current graduate students. In this webinar recorded April 27, 2018, a panel of students (including internationals) with many different living arrangements share their experiences and offer guidance on factors to consider when evaluating housing options. You will also receive an introduction to resources and assistance available through the Office for Off-Campus Living. 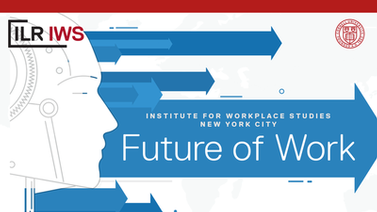 This program is sponsored by the Graduate and Professional Student Assembly Diversity and International Committee, Graduate School, International Students and Scholars Office, and Off-Campus Living.